The vast benefits of yoga pranayama, or yoga breathing exercises, are now starting to be discovered by mainstream society. It is inevitable, to those of us familiar with this profound science, that pranayama will gain equal, if not greater, popularity than the physical yoga exercises (Hatha Yoga Asanas) have done so far. This is because pranayama is absolutely something everyone can practice, regardless of age or physical prowess. 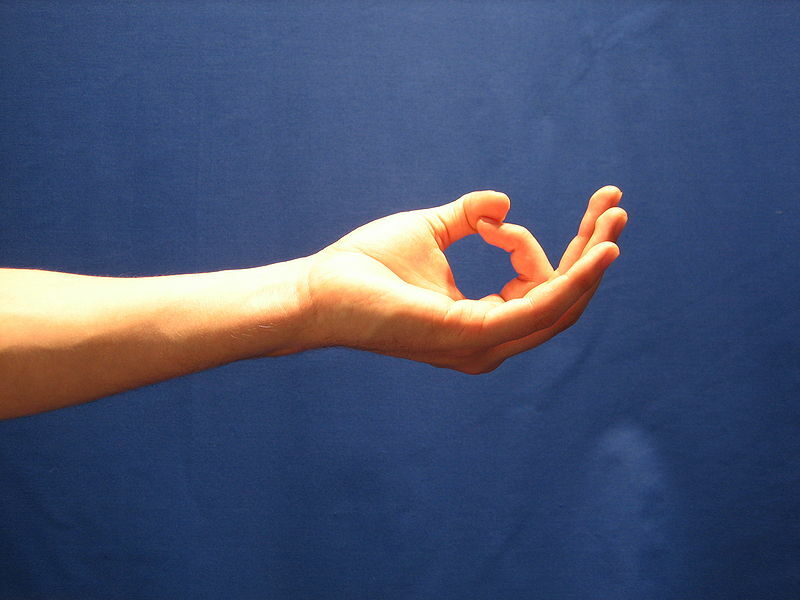 If you can breathe, you can do pranayama. The beauty with yoga breathing is that simple techniques can bestow terrific benefits and that learning and practicing these techniques is something well within reach of us all. Whether you are a beginner or advanced yogi, pranayama is something you will find to be a powerful tool to help you with your spiritual evolution. That being said, there are certain guidelines and recommendations that you should follow with regard to pranayama practice, and in this article I would like to provide those to you. If you are an advanced yogi, from the point of view of Hatha yoga practice, and you have not done much pranayama, then you should approach this science with the same respect as a beginner would. This is because prana, or life-force, is the vast energy of atoms, and the body’s capacity to handle such energy should be built up gently and systematically over time. Rushing pranayama practice can create imbalances in the systems and other problems, that could easily have been avoided if an intelligent approach had been embraced. Clothing: Clothing should be loose, specially around the abdomen. This will ensure that the natural movement of the diaphragm is not impeded when doing the breathing exercises. Diet: You should not have eaten any heavy meal at least 2-3 hours prior to practicing pranayama. The stomach should be empty. It is fine to sip some water though during the practice to stay hydrated, specially when doing heat generating vigorous exercises. If your diet can consist of light, fresh food that will help the cleansing process as well. Time: Dawn is a terrific time to practice yoga and meditation, but this is more so for pranayama practice. This is because the early morning air is fresh and at this time the air contains the most amount of prana. Practicing at this time, will bestow benefits faster. Of course, if this is not feasible, no worries, practice when you can. Here is an article on How to Help You Become an Early Riser. Posture: Always sit with your back as straight if possible. In addition, keep the chin slightly tucked in so that the back of the neck is aligned with the spine. This will help the flow of energy up and down the spine and up into the brain region. In addition, this will prevent you from getting dizzy during vigorous exercises. Illness: Whether you are a beginner or an advanced practitioner, do not practice any advanced pranayamas while you are unwell. Do the beginner versions of the breathing exercises or choose easy pranayamas to do instead. It is also fine to stop entirely until you have recovered fully. Effort: Again, regardless of if you are a beginner or advanced yogi you should never strain when practicing yoga. This is especially true when doing the breathing exercises. As indicated above, pranayama, which means the expansion and control of prana, deals with the nuclear energy of atoms and progress should be made gently and systematically. This is even more applicable for any pranayama that requires you to hold your breath in or out for prolonged periods of time. 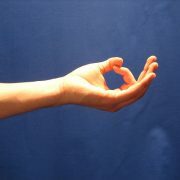 If at all you feel uncomfortable while practicing a pranayama, stop, take a break and restart again when you feel ready. Cautions: Don’t practice any heat generating pranayamas while sitting directly under the hot sun. This can aggravate the heat in the system (pitta). Similarly, choose pranayamas according to conditions and state of your health. In other words, don’t practice Sheetali Pranayama if you are suffering from a cold or chest congestion, etc. The following Overview of Ayurveda can be a helpful guide to you on this topic as well. Location: Try to practice is a well ventilated room with plenty of fresh air. Yoga Pranayama is perhaps the best part of yoga. All the various types of yoga have contributed to this profound science and the following 2 e-books should give you plenty of techniques to incorporate into your daily practice: Free Online Yoga Pranayamas E-Book and Free Online Yoga Brathing Exercises Videos. If you are just beginning your yoga practice, definitely incorporate pranayama into it, if you are an adept yogi and have not indulged in pranayama, then it’s overdue that you take advantage of this warehouse of profound wisdom. There are so many yoga systems, which one should someone choose if yu’ve never done yoga before. Is Rishi Patanjali the father of all yoga systems. Can you also tell me what siddhi is in yoga or transcendental meditation. Why are the tm groups are hopping is it some sort of energy in the chakras or something else. I would like to know is it alright to practice pranayama during menstrual cycle? So sorry to hear of your troubles, I hope you find relief with these exercises. Hi Anmol, thanks so much for all this info and instruction! I am a beginner and am very grateful that you make ebooks and videos available for free. I think this is the perfect place for me to start. I am new to your site and to yoga. Just 5 years ago, I hiked all the mountains surrounding my town, and hiked the rocky mountains in Denver area. then I had a heart attack and can hardly breath. I have developed abdominal adhesions that rip and tear with every movement and I am hoping the yoga breathing techniques will help along with some herbal topicals I am starting to use. If you have any suggestions for heart and pelvic problems, I am so eager to get my heath back…… thank you for your site. This should be fun. Thanks for making it available. This is going to be so exciting! Can’t wait to start. I’ve been wanting to learn this for a couple of years now. If yoga is the appetizer, meditation is the entre. Glad to hear you can moving ahead to meditation. Be patient and persistent, and it will transform you and you life.